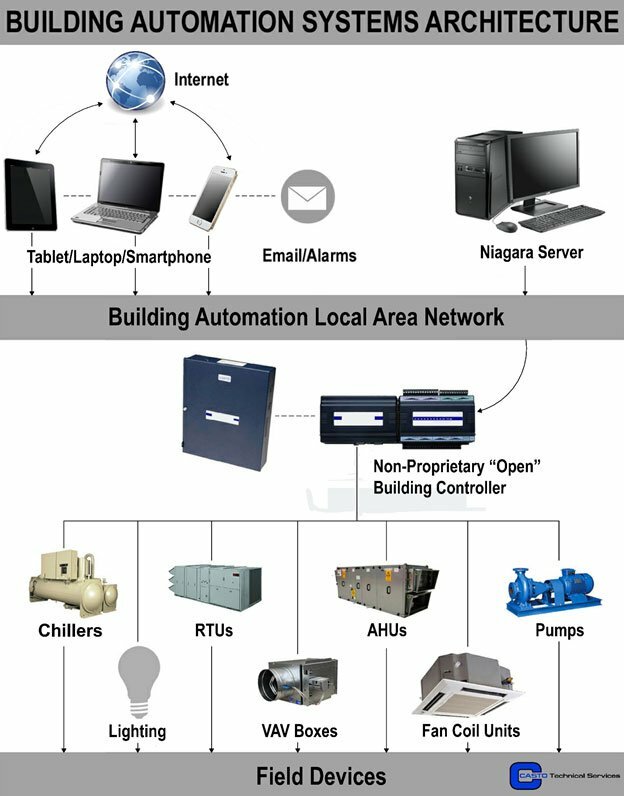 Integrating Building Automation Systems (BAS) to the latest technology just makes good sense. We are committed to earning your business without holding you captive to proprietary software and applications by using Niagara AX Framework (NAF). What does that mean? An open protocol system (NAF) does not tie you into one brand or another. We understand all systems are not created equal. What is good for one application may not be good for another, therefore, we utilize the NAF system. Casto can take your working BAS system, integrate it with the NAF system and give you true interoperability. This allows the sharing of data that makes each system smarter, expandable, and more functional. Casto uses controls powered by Niagara AX Framework. Let us show you how to save money, increase productivity and leverage your system with a Niagara AX Framework solution today.